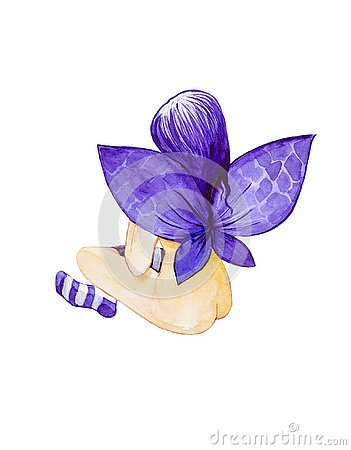 Girl angel with purple wings and hair sitting with his back to the striped socks. Watercolor illustration isolated on white background. Vector vintage Christmas angel illustration. Pretty illustration perfect for christmas card, decorations and prints.